PT Products and Services, Inc.
P.T.Products & Services, Inc. Small Disabled Veterans Owned, ISO 9001:2015 and AS9100D Certified, was founded in 1987 providing Professional Sales and Technical assistance in the distribution of SMC Pneumatics products. We reside on 2.5 acres, with approximately 24,000 square feet of facility, located on Central Texas Highway 130 corridor. 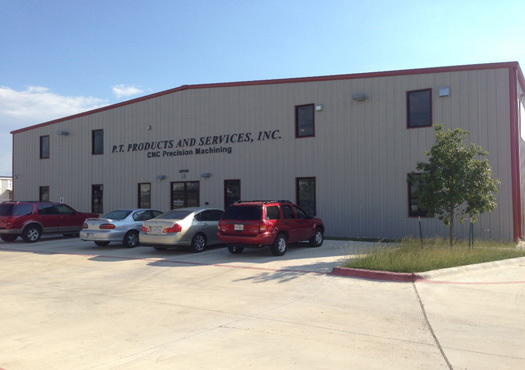 In the year 2000 P.T.Products & Services, Inc. acquired a Precision Machining operation. Today this Precision Machining operation manufactures precision components and provides combined electro-mechanical contract manufacturing services to all various manufacturing OEM markets. our business strategy was to place strong emphasis on the Aerospace and Defense markets. We have succeeded in achieving vendor status with key players in the Aerospace and Rocket Propulsion market.